Vivienne Art Galerie in Paris was interested in showing screens and their models that I painted between 2005 and 2013. They represent neighbourhoods next to the Empire State Building. 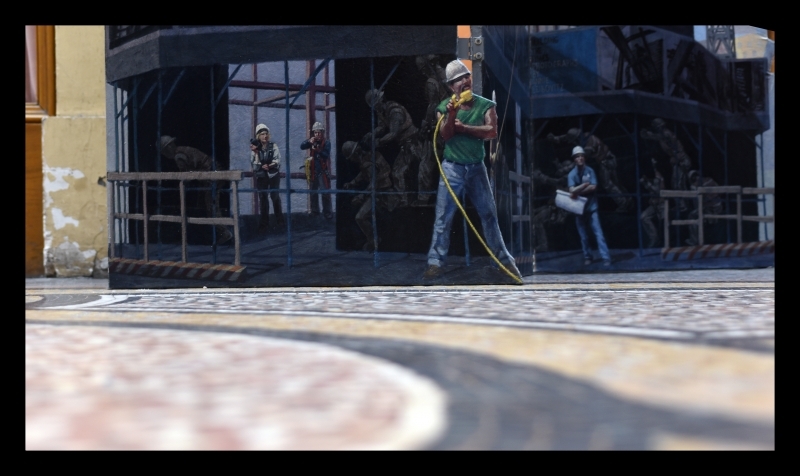 NewYorkScapes paintings belonging to the series Looking for Lincoln Tunnel, Mpala Tano and Steps to the High Line, painted between 2014 and 2016, were also presented. This exhibition lasted from April 28 to May 28, 2016. 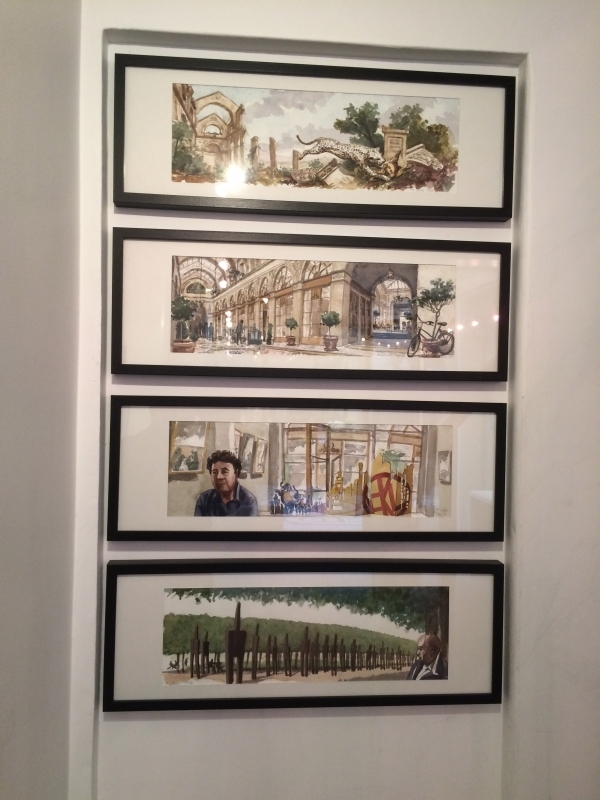 While in residence there, I painted watercolors in and around Galerie Vivienne. For its 30th anniversary, the Vivienne Art Galerie invited 30 of its artists to exhibit in a group show “30 ans d’exposition Galerie Vivienne”. The show ran from September 20 to November 10, 2018. 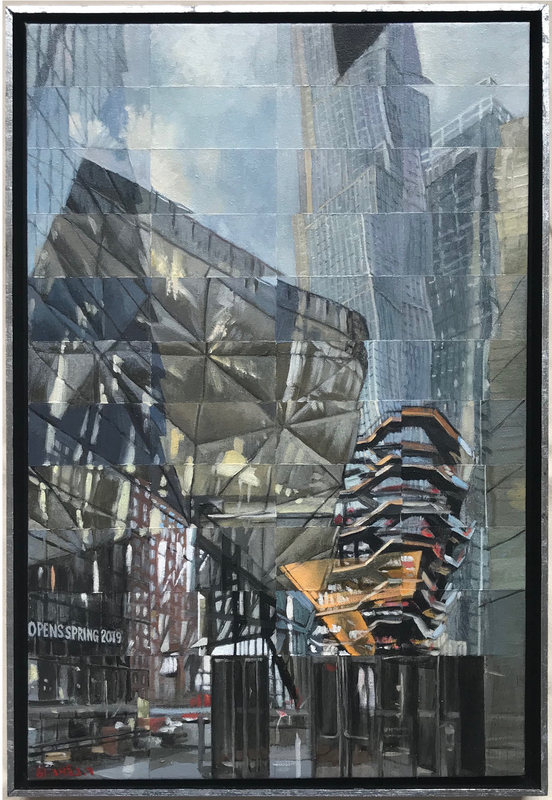 I exhibited two paintings from my Hudson Yards series.